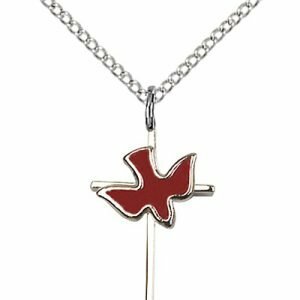 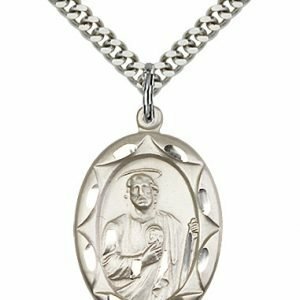 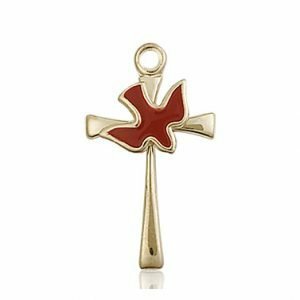 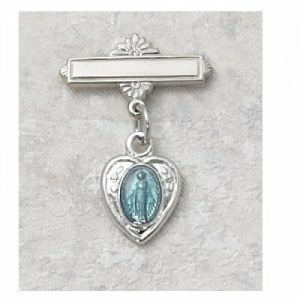 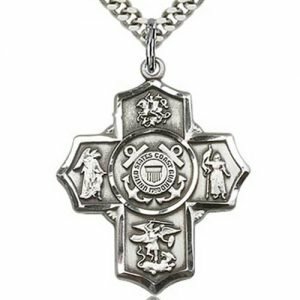 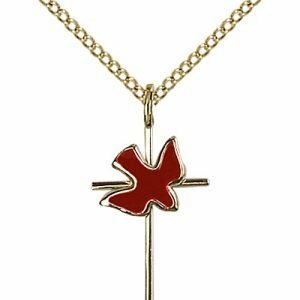 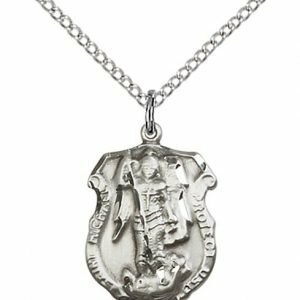 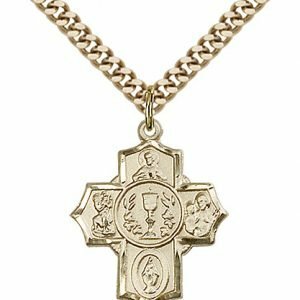 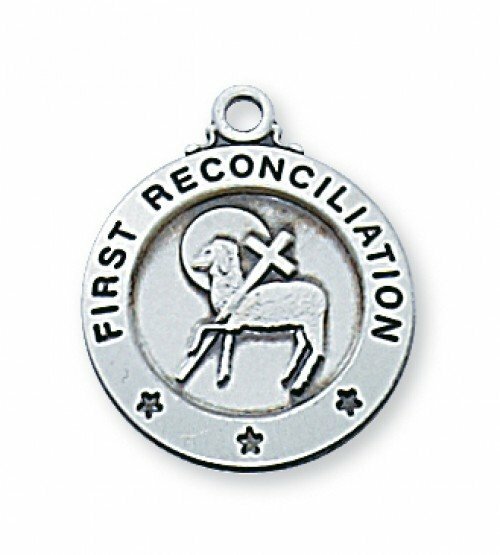 A sterling silver First Reconciliation pendant with a child sized, 16″ chain. 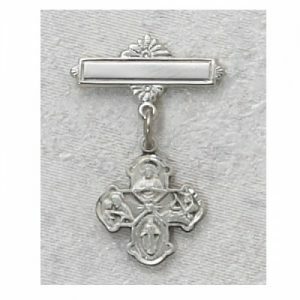 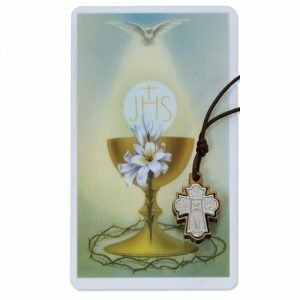 The medal pictures a lamb holding a cross to symbolize the Lamb of God. 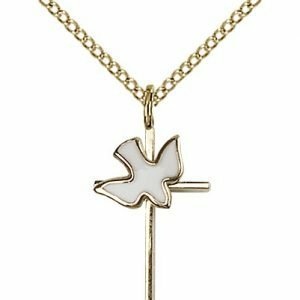 Crafted in the United States and sent in a jewelry box.